How Can You Finish a Piece of Writing That Can Never Be Finished? 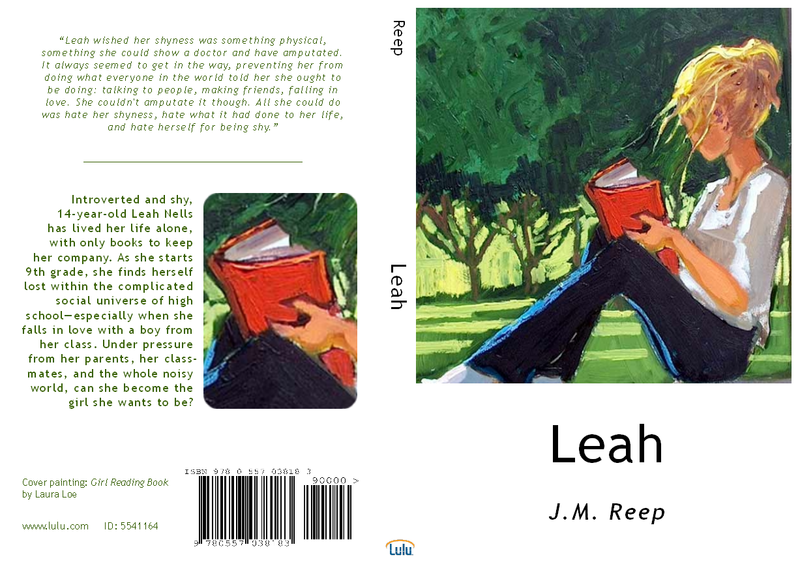 An update: Last week, I received the proof copy of Leah and I read through it, proofreading and making last minute corrections. I thought that I’d be able to submit the corrected manuscript back to Lulu on Sunday, thus beginning the final phase of this publishing process. However, Sunday evening, I was reading passages of my book at random (a couple pages here, a couple pages there), and stumbled upon a sentence in chapter eight in which I had accidentally italicized half of a sentence that should not have been italicized at all. The discovery freaked me out because it was an error so glaringly obvious that I should have spotted it last week when I was reading through the novel. I started to wonder, then, Well if I missed that, what other errors have I missed?! So I decided to delay submitting the supposedly “corrected” manuscript for a couple of days. Since Sunday, I’ve continued to just browse through the book randomly. I have spotted a few more errors, but they’ve all been very minor typos. But Sunday’s freak-out has rekindled has my obsession with perfection and the idea that whatever I write and publish must be perfect, even though I fully realize that no piece of writing can ever be perfect — something can always be done to improve a written work. I have the urge to hold on to my book and not submit it until I have made every single change that I can. But I could work on my manuscript for another hundred years and it will still not be perfect. I’ll keep browsing through the text this afternoon and this evening, but unless I find another startling error like I found on Sunday, I think I’ll submit the corrected draft of my manuscript to Lulu before I go to bed tonight. Hopefully, I’ll be able to sleep. Proofreading, though crucial to good writing, can sometimes be a tedious process. Fortunately, word processors have a function that can help a writer perform very precise proofreading searches. The “Find” (or “Find & Replace” in OpenOffice) function allows you to search for a specific word or phrase in a document. I spent a couple hours yesterday doing searches for some common typos that I, and many other writers, tend to make: its/it’s, lose/loose, affect/effect, etc. I would type, for example, “effect” into the Find box and the program would take me to each and every instance of that word in the text. Then, it was up to me to read the sentence and make sure I’m using the word correctly. I’m happy to report that most of these searches turned up very few errors. David stayed on the other side of the class and seemed to have forgotten about his group. She looked out the window, and it seemed dark outside. Well, it’s either dark or it isn’t. “Seemed” would be completely inappropriate in this instance. Find allowed me to inspect each and every appearance of that word in the novel without having to read the entire novel straight through. At the beginning of chapter fourteen, I had a paragraph-length description of a dream that Leah experiences a couple days after her school’s Homecoming Dance. The dream has long been a source of indecision for me because I always thought that the dream I described here was more than a little cheesy. In previous revision cycles, I considered cutting it from the story, but I chose instead to compromise: I left it in but tried to sweep the cheesiness out of the scene. I think I did a pretty good job. But yesterday, when I was reading the passage again, it occurred to me that it might conflict with the scene at the end of chapter thirteen. At the end of chapter thirteen, in one of my favorite moments in the novel, Leah unhappily accepts the fact that she isn’t going to the Homecoming Dance with David or anyone else. Apparently, in previous revision cycles I must have always taken a break from reading once I finished chapter thirteen, because this time, when I read the dream sequence at the start of chapter fourteen just seconds after reading the end of chapter fourteen, it suddenly occurred to me that the dream sequence completely contradicts and undermines the emotional impact of that final scene in chapter thirteen. I have never noticed this until now, and it alarmed me when I realized what I had done. It’s too late for me to cut the plan for a dream sequence out of chapter fourteen since it is woven tightly into the start of chapter fourteen. I’d have to completely rewrite the first couple of pages of the chapter. So what I’ve decided to do here is replace the Leah’s dream with another dream. It was the setting of the dream (a formal dance that was like something out of Cinderella) that caused the trouble. I changed the setting of the dream but not what made the dream so appealing to Leah: it was about she and David spending time together, alone — and talking to each other. I think that has solved the problem, and it’s a lucky thing I caught it. The transitions between chapters has been something that I’ve been worried about. Because I can’t read the whole novel in one sitting, I have to stop some time. A new chapter is always a logical place to take a break, but taking a break disrupts the flow of reading, and when I stop I risk missing a transition problem like this one. In my last post, I discussed how worried I’ve been that the back side of my book cover wasn’t going to turn out well. I even started designing an alternative back cover just in case my fears were realized. Well, my fears were indeed realized. Late yesterday, my proof copy arrived, and I found that not only does the back side of the cover look obviously pixelated (even more pixelated, in fact, than it did in the PDF file from which the cover was generated), but my attempt to soften the pixelation by slightly blurring the image has failed spectacularly: the image looks both pixelated and blurry. Only three visitors to this blog voted on the two back cover options in my previous post (and those votes resulted in a three-way tie), but it looks like my decision has been made for me. There’s no way I can use Option One. Option Two is in.